For you, what’s the worst thing about Manila traffic? I know you have a lot to say to this. Could be a long list, right? I am with you. I have experienced getting stuck in traffic while driving my car and just waiting for eternity until I get to my destination. Definitely not a good experience every time it happens. 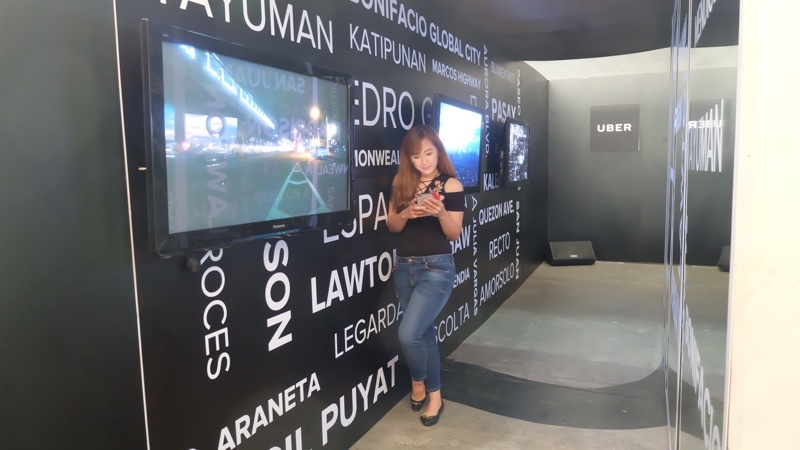 I've been riding UBER since 2015 for these main reasons – convenience, safety and accessibility. I still didn’t have my own car at that time, so it was my top choice when travelling around the metro for work or other purpose. 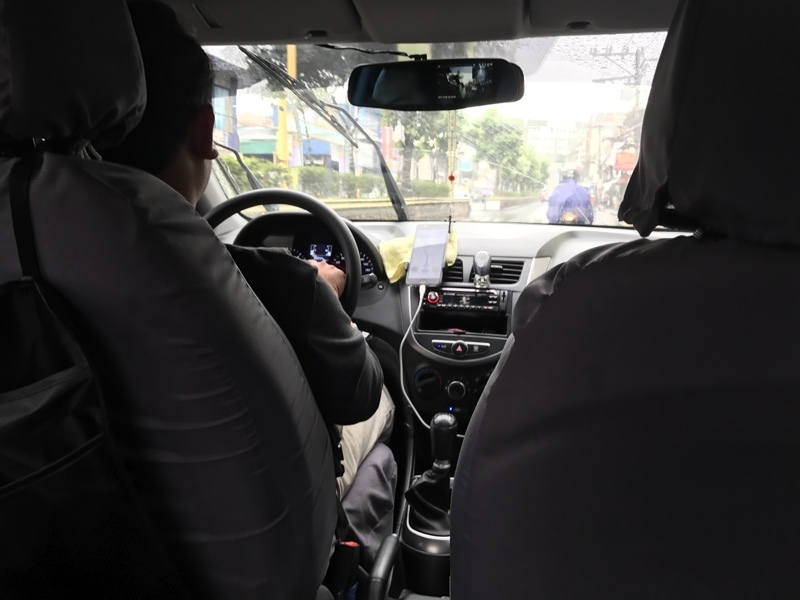 Whenever I can’t drive – either I’m coding or I’m in a rush or tired – I depend on UBER to take me to my meetings or events. I find it really helpful, especially if there’s no parking space in the venue. Of course, I always want to be on time so thanks to every UBER ride I make as I don’t have to be lost in directions, and I can always beat the clock through the shorter and faster routes. Whew! Such a life-saver. I’m at peace with UBER. Unlike other means of transportation or commuting, I find it safer and more reliable. As I soon as I book my ride, I already have information about my driver and they are very accommodating. After hearing horrible experiences on the road from my friends or family members, I couldn’t take any risk at all. Using the app is a breeze. Unlike the old times when you really have to go out of your way to find a taxi ride, UBER makes it easy for us passengers to book a ride, advise the driver of our location and destination in advance, and even pay cashless with our fingertips. For me, that alone is a big help in reducing stress caused by Manila traffic. Just imagine, we’re stuck in traffic for 402 hours a year here in Manila, an average of 52 minutes a day. This is according to the recent survey commissioned by UBER involving 9 of Asia’s biggest cities. That’s less productivity at work and time for our families. So, how does UBER plan to resolve this? 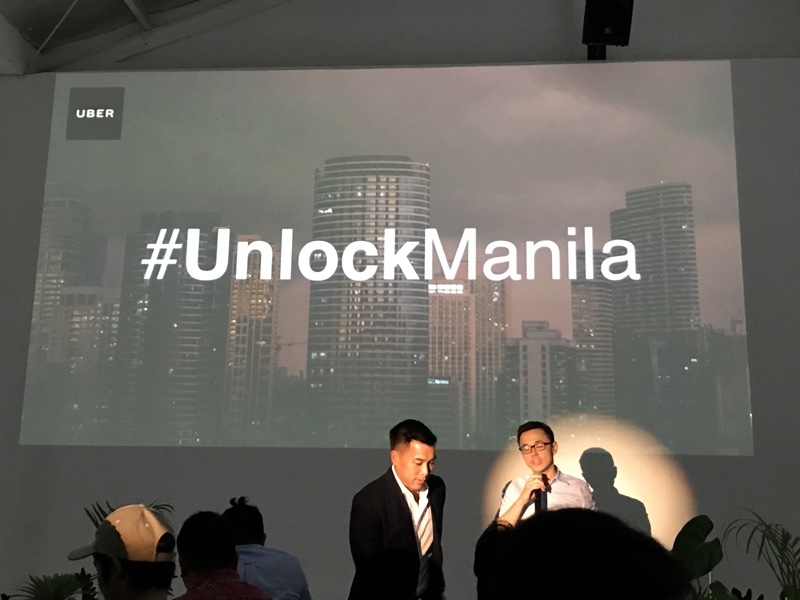 By unlocking Manila through ridesharing. 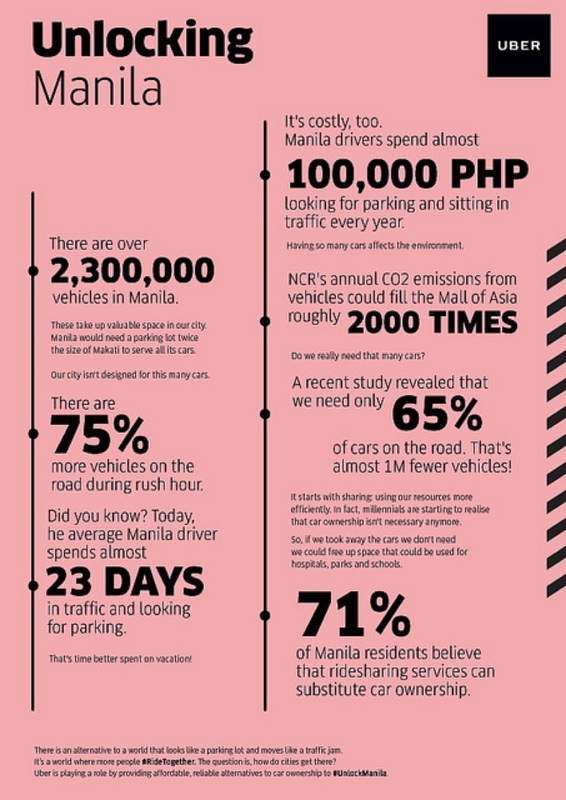 From over 2.3M vehicles in Manila, we could potentially help in lessening them by sharing our ride. Less cars means less traffic and pollution. I know this is easier said than done. But with accord and multiple efforts from passengers and drivers, I believe we can achieve this. Having experienced the roads in the metro, I’ll leave this to you as a challenge. Let’s do this! Check out UBER’s new video which accurately illustrates our traffic situation. For more information, log on to https://www.unlockingcities.com/. If you still haven’t tried riding with UBER, download the app on Google Play or the App Store, and watch out for promos!